No.80 Continuous-Flow Screen Tray - Gilson Co.
CFA-102 No. 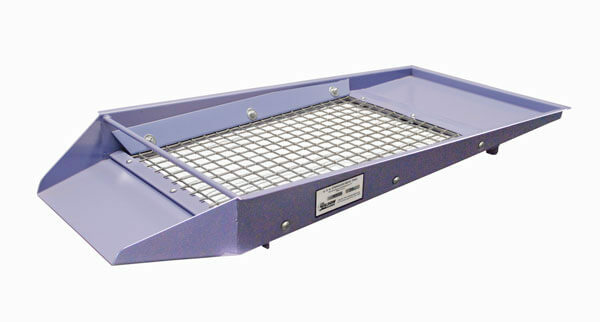 80 (180µm) Continuous-Flow Screen Tray for Gilson Continuous-Flow Screens features a feed tray and discharge chute for continuous inclined feed of coarse materials or scalping operations. Tray construction is welded and bolted heavy-gauge painted steel and is fitted with ASTM E11 Compliance Grade stainless steel wire cloth. Replacement Wire Cloth Only sections are interchangeable with Gilson Testing Screen Trays.